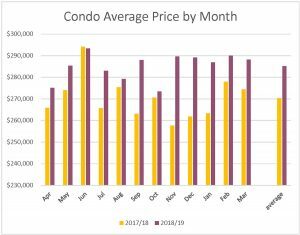 The Ottawa Real Estate Market is still zipping along – and March can be an iffy month with weather. 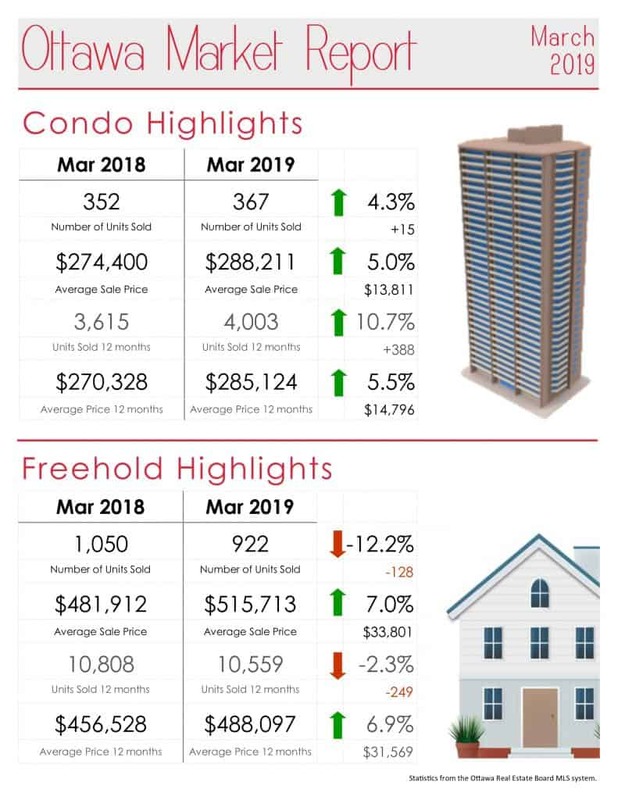 Condos fared especially well, showing a year-over-year increase of over 10% in sales and over 5% increase in average price. 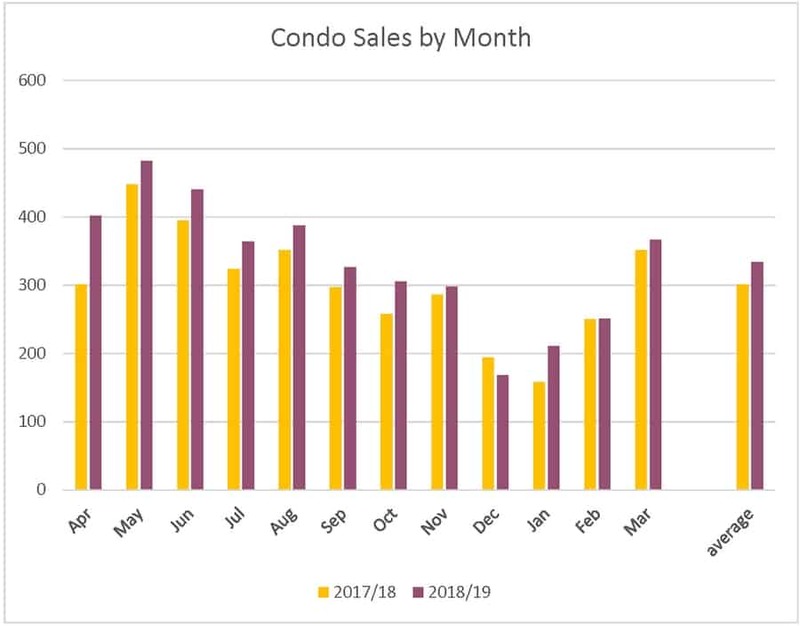 Both of these ratios may start changing as many of the buildings that had been proposed a couple/few years ago had been put on hold – many are being restarted partially because of these strong sales. Freehold properties also did very well, with an increase in average sale price of almost 7%, to $488,097. 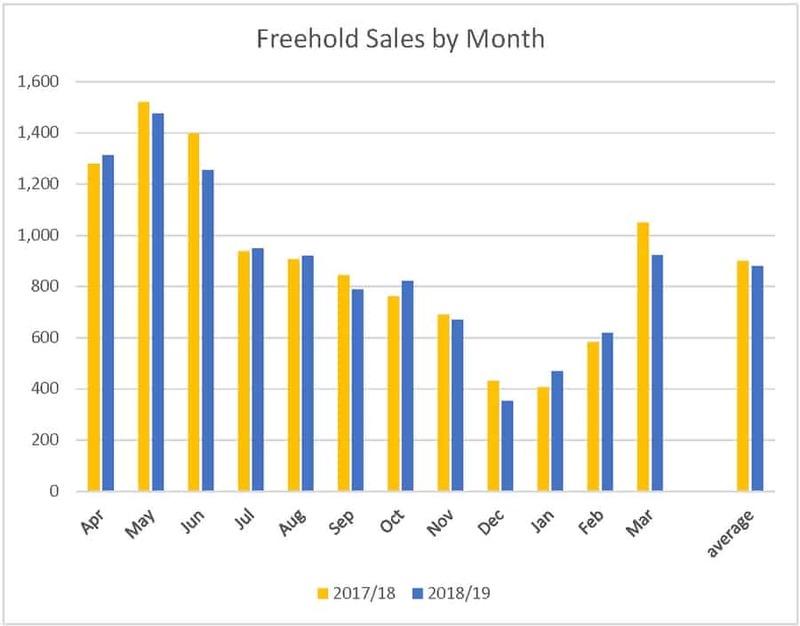 Notice that number of sales dropped year-over-year, and especially month-over-month. This is symptomatic of “low inventory” wherein there are significantly fewer homes for sale than there are buyers looking for homes. This situation is also known as a “sellers market”. 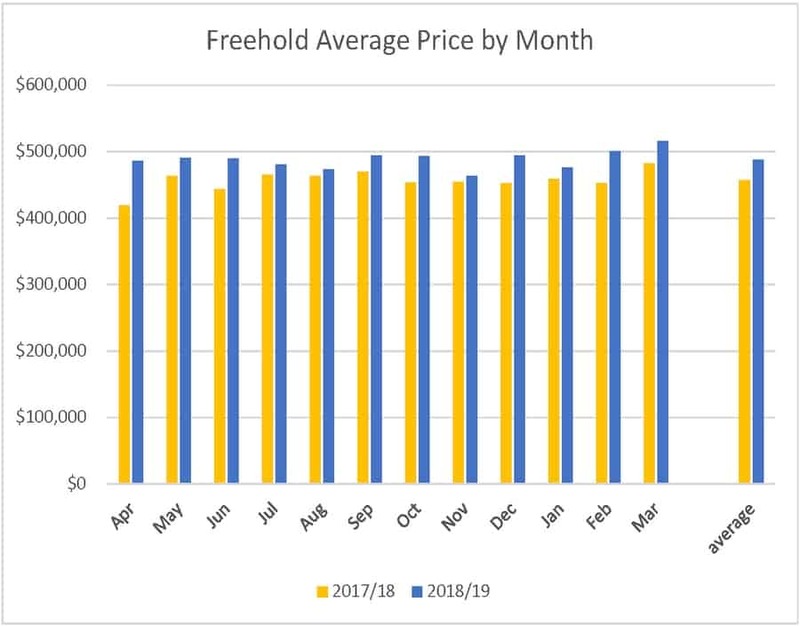 The month-by-month charts below show some interesting trends. Condo sales were up somewhat in every month except December, which is good news after so many years of very poor sales. 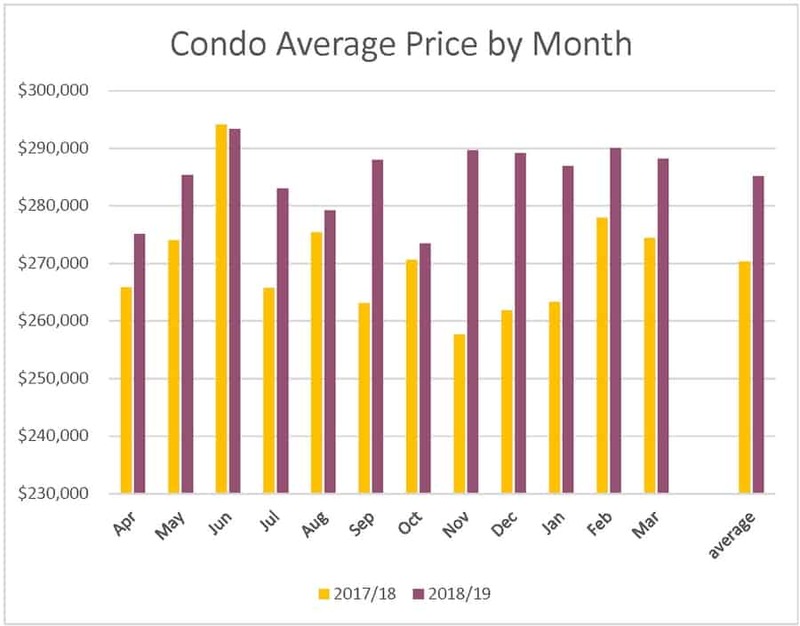 And look at the spikes in condo average prices in September and November through January compared to the same months a year earlier! 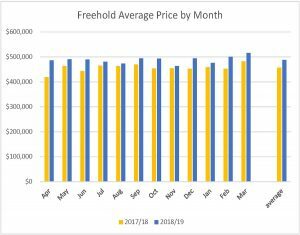 Interestingly, the average price has remained relatively consistent since November, and that price is pretty much the average for the year.